Hi everyone and thanks for stopping by today. I woke up ready to tackle a stamping project that was inspired by The Moxie Fab World blog's Tuesday Trigger posted by Cath and provided by Maren. I had printed out the "trigger" (aka inspiration piece) and stared at it for a couple days, formulating my plan in my head. Thanks for the inspiration, Cath and Maren! This was fun! 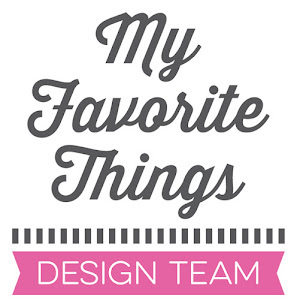 Here is the Tuesday Trigger for those of you who haven't seen it on the Moxie Fab blog. 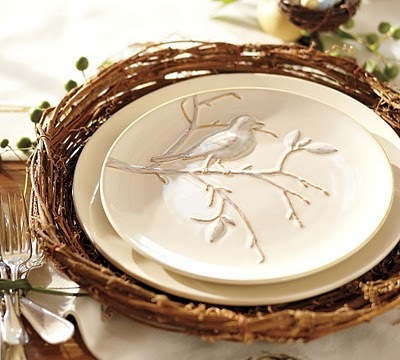 It is a Bird Nest Charger from Pottery Barn. I really wanted to capture every element of the trigger and make my card as close to a replica as possible, while employing some fun techniques along the way. 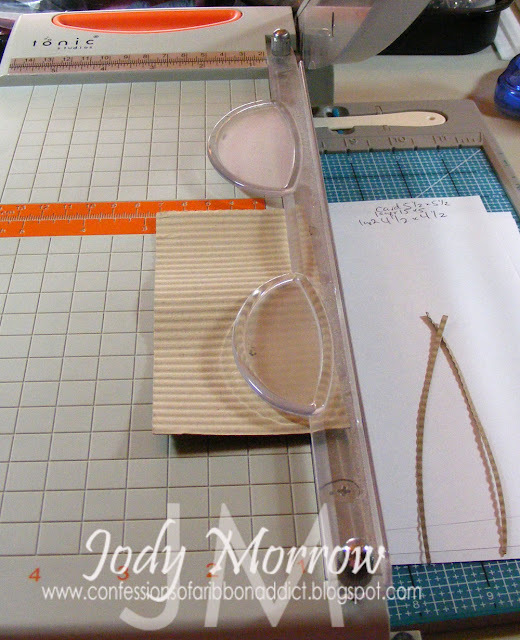 I took pictures to chronicle the steps and as a BONUS... that means I have a tutorial to share with you again! 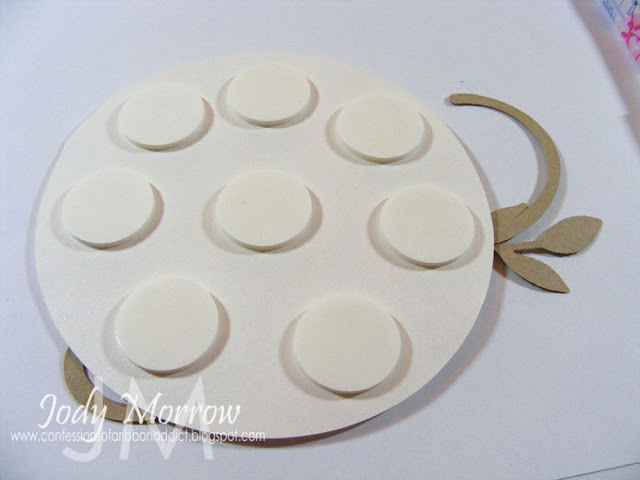 I wanted to mimic the shape of the charger, so I decided to make a round card. 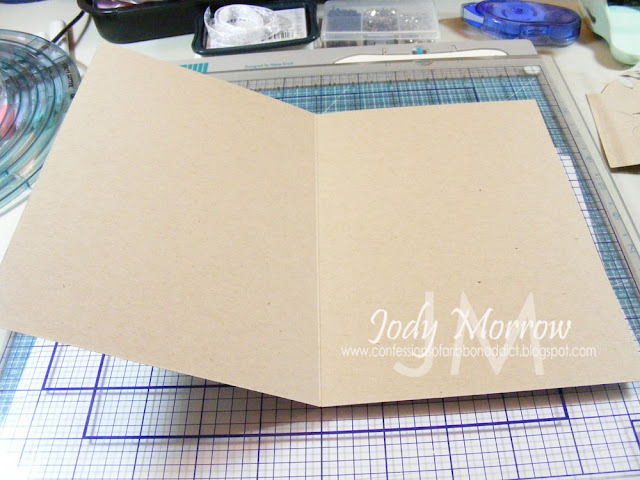 Start with a piece of kraft card stock (8 1/2 X 11) and score it at 5 1/2 (in half). 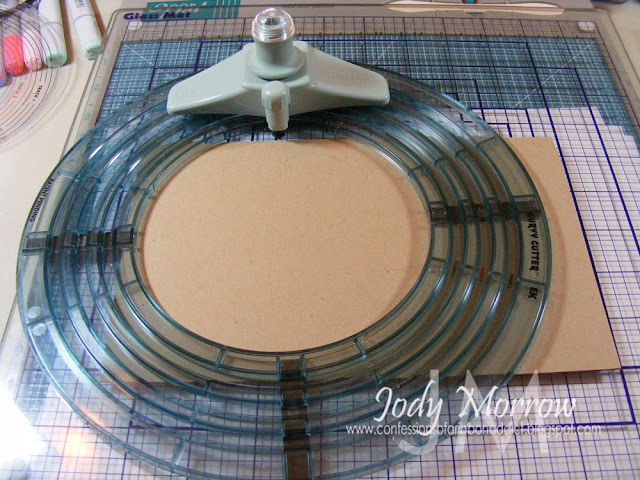 I used my Curvy Cutter and glass mat to create a circle card. 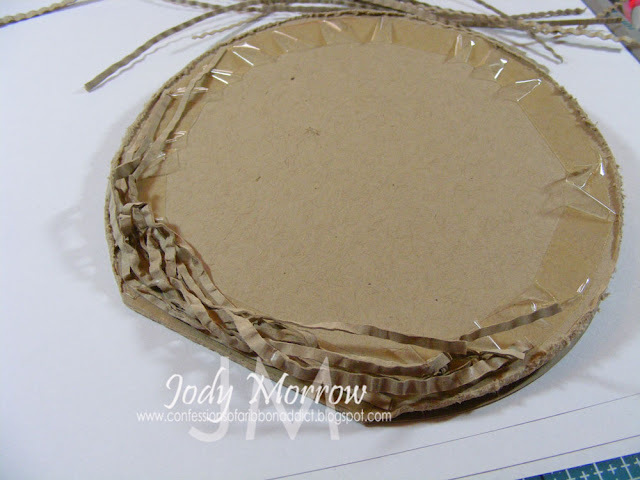 Fold the card stock in half and then place the circular template over it. You'll want to cut out *almost* the full circle, leaving a straight edge along the top where the score line is. 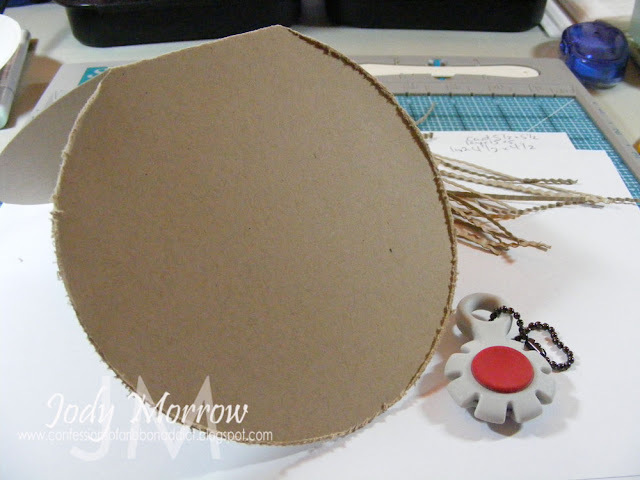 That will keep your card intact, while making it *mostly* circular. I used the 5 1/2" circle for my card. 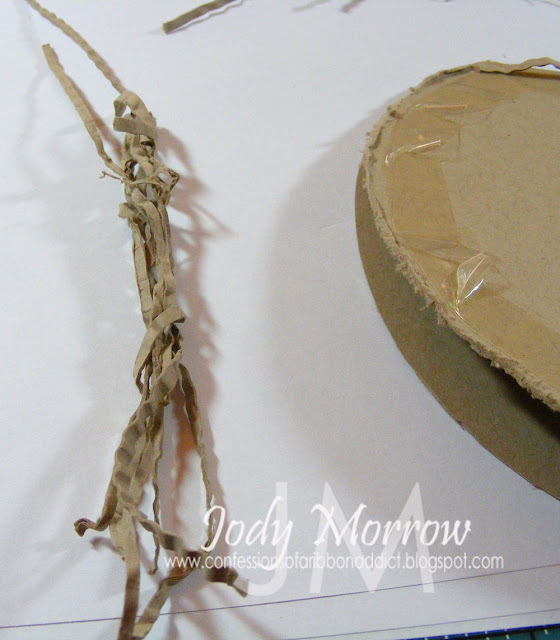 Use a paper distresser to rough up the edges of the front of your circular card. 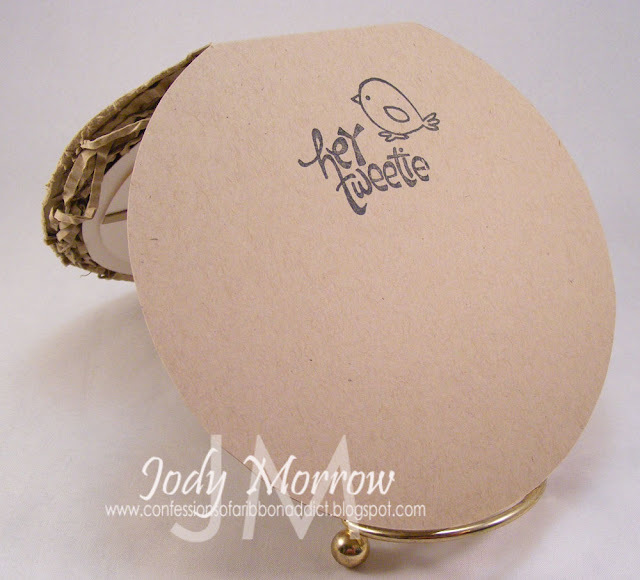 I used a Tonic Tim Holtz distresser (my fave). 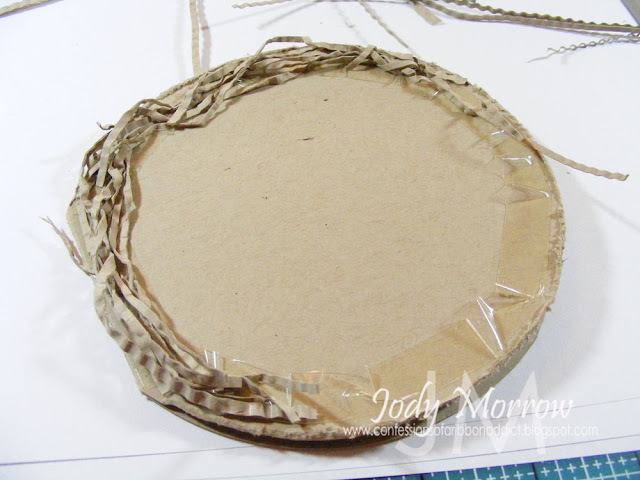 Next, I wanted to mimic the rough "plate holder" and really wanted it to resemble a bird nest. I grabbed my most INfrequently used tool... my paper crimper (shocker). 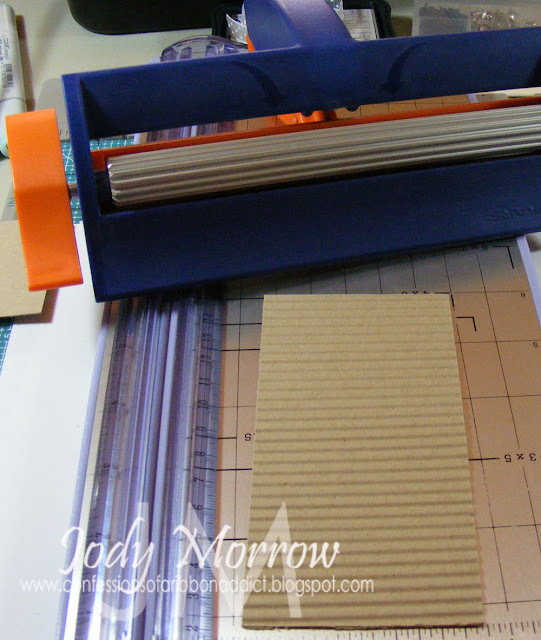 I cut a piece of kraft card stock to 5 1/2 X 2 and then ran it through my paper crimper several times. 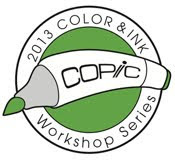 This texturizes the paper AND loosens the fiber so it becomes more pliable. 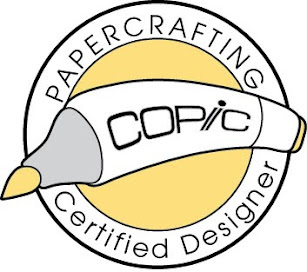 I used my Tonic paper trimmer to slice off thin pieces of card stock. I grabbed some 1/2" red line adhesive and ran it around the perimeter of the circle card base. I needed to "ruffle" it to make it go around the circle and that is fine. It will all be covered anyway, so feel free to make it messy! 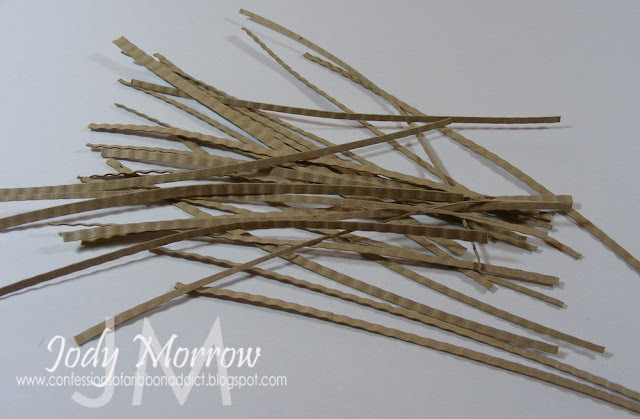 I grabbed a small handful of my paper strips and rubbed them between my hands (as if you were rolling a snake while playing with play dough LOL). Go ahead and be "rough". You want to texturize the paper and get it all twisted together. Don't place them evenly in your hand. It'll look better if you have some strips of card stock sticking out with card stock strips at varying positions within the bundle. 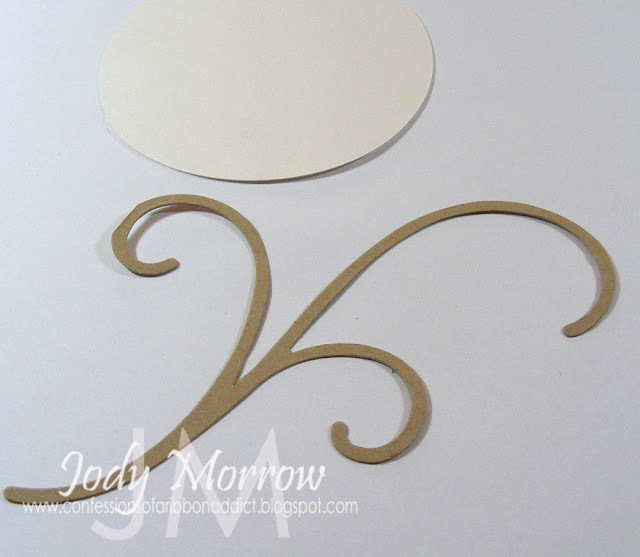 Make sure to stick down any stray ends of card stock and play with it until you are happy with the look. 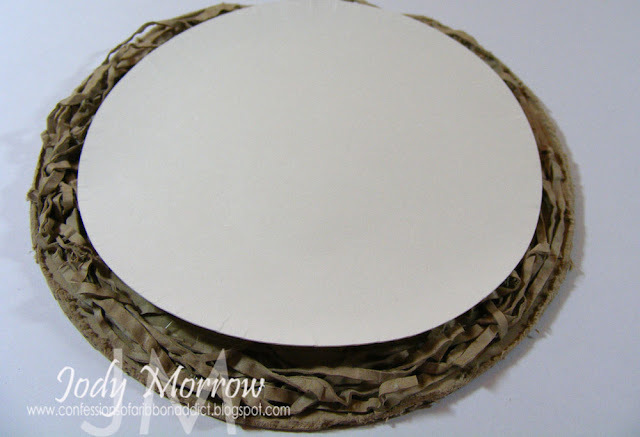 Cut a 4 1/2" circle out of white or cream card stock. I used white shimmery card stock to give it a more classy feel. 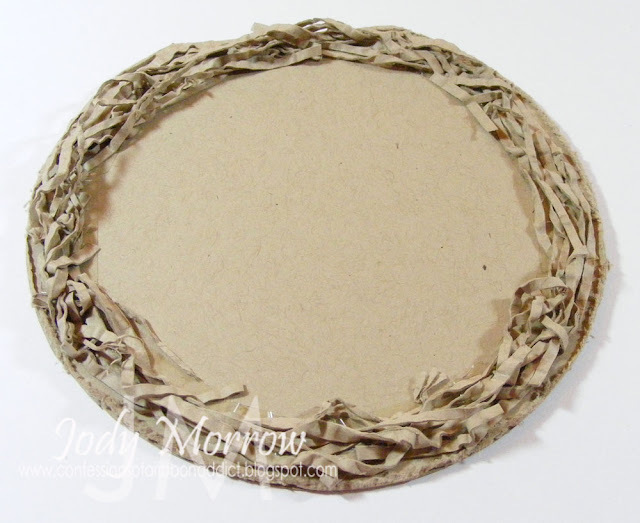 Manipulate the card stock with your fingers to turn up the outer edges a bit. 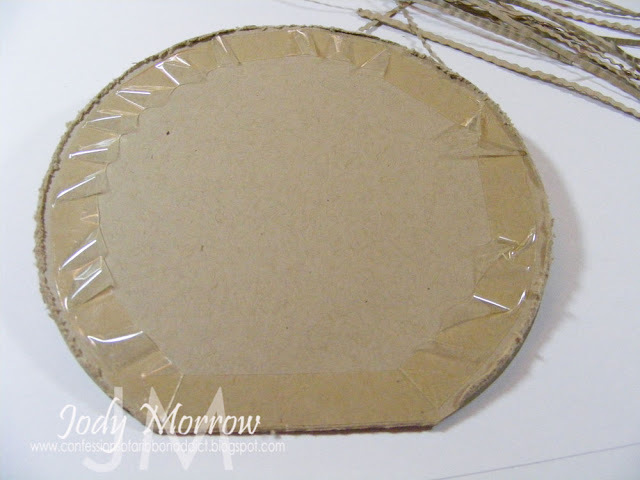 This will mimic the plate's upturned edges. 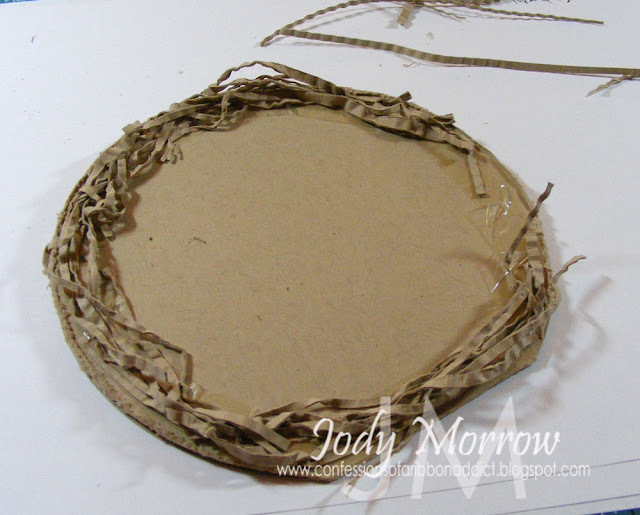 Here, I sat it on the "bird nest" so you could see the edges of the circle more clearly. 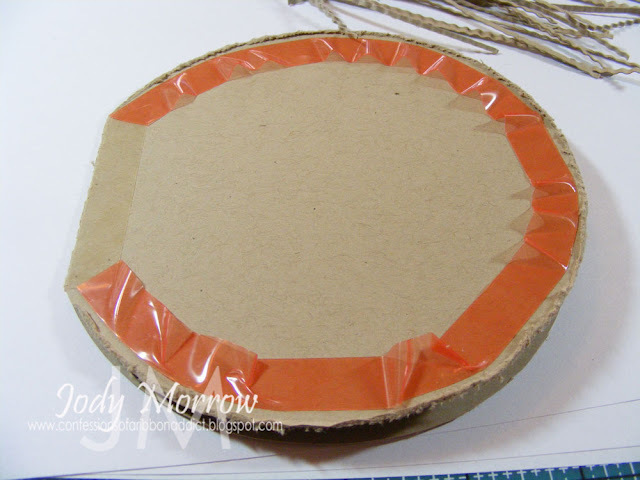 Cut a 4" circle out the same card stock you used for the previous circle. This will be the panel we will build our branch on. 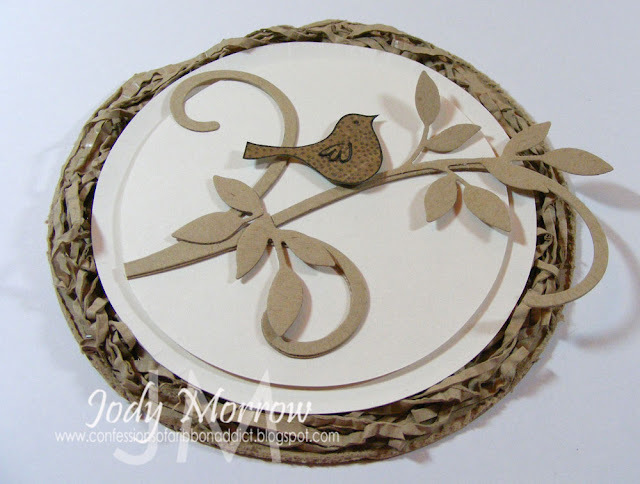 I used a Sizzix die swirl for my branch. 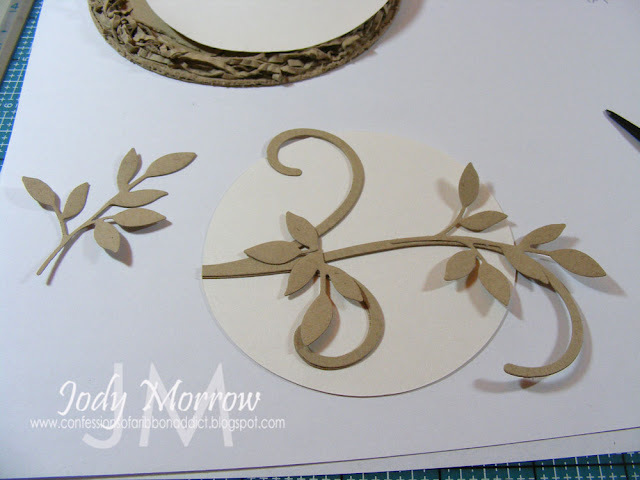 I die cut the shape using kraft craft card stock. 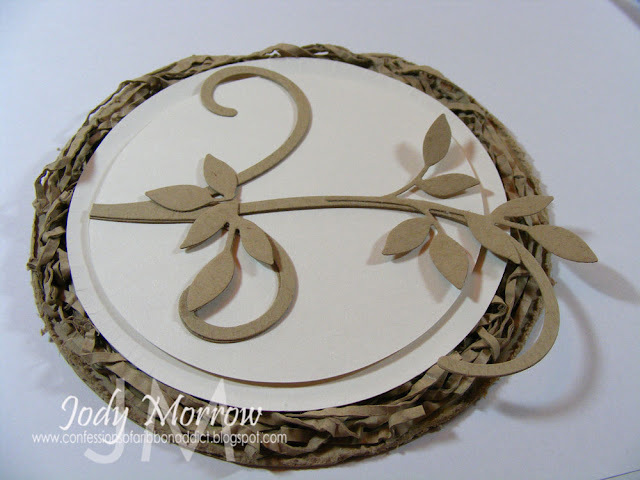 Adhere the branch to the circle of card stock. I used Diamond Glaze. Then, I die cut some leaf clusters using my SU "Little Leaves" Sizzlits die. You could use a leaf punch or even cut some by hand. Adhere those to your swirl "branch" as shown. 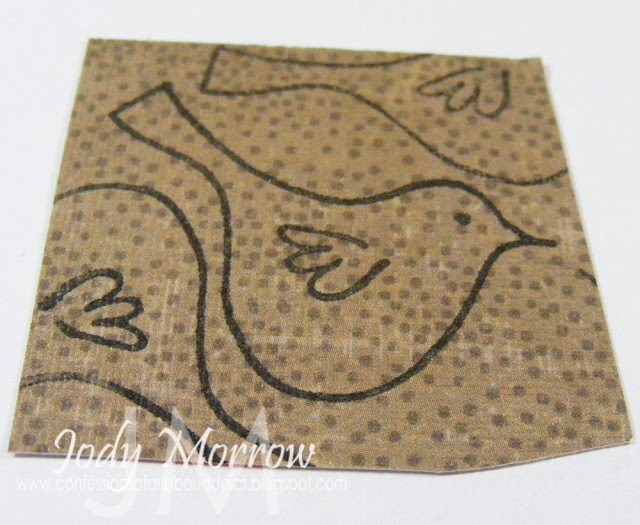 Next, I stamped one of the birds from Kim Hughes "Pretty Birds" stamp set onto a piece of patterned paper by Crate paper. You'll need one full bird and one extra wing. 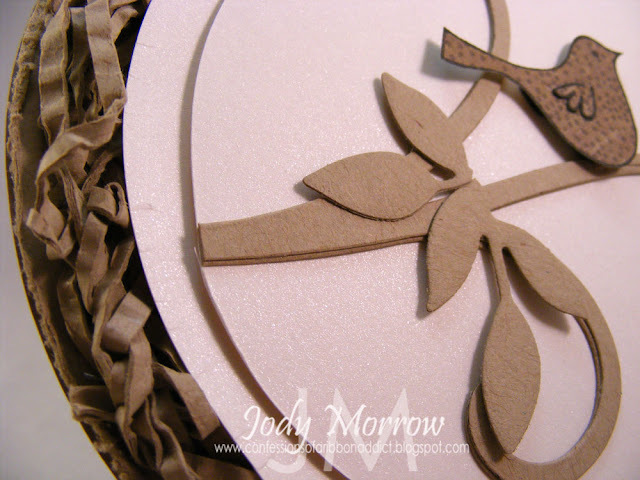 Cut out the bird and the extra wing with your scissors. 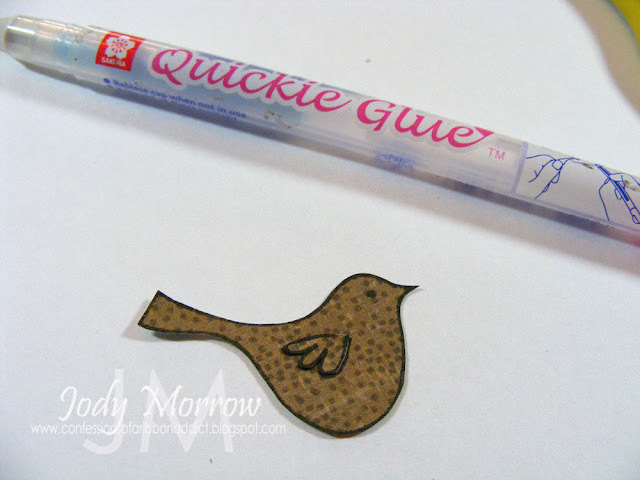 Adhere the extra wing to the bird using a Quickie Glue pen, to give it some extra dimension. 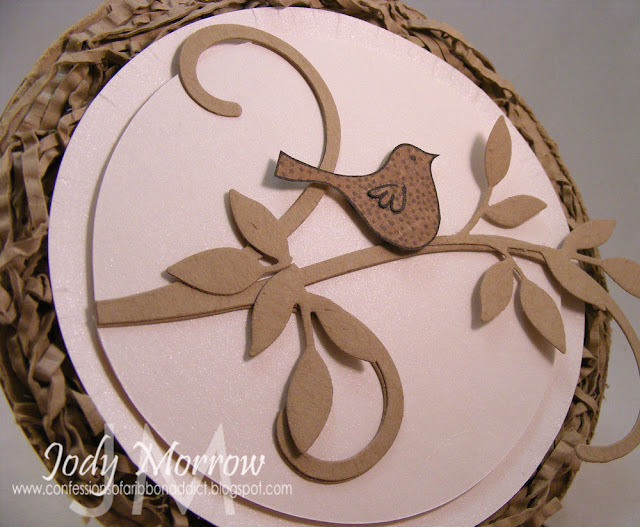 Adhere the larger white card stock circle to the center of your "bird nest" using white dimensional dots. Use plenty of them so that layer is well supported. Then, do the same with the panel that you have built your branch on. Adhere your paper-pieced bird to the branch using red line dimensionals. Stamp something cute inside. 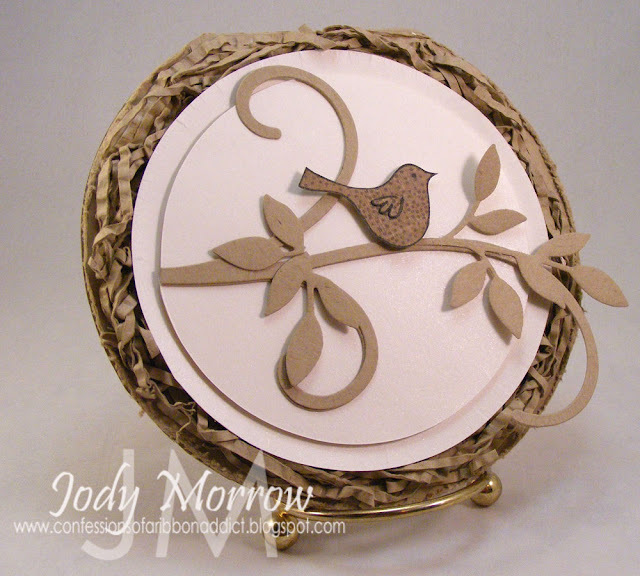 I used another bird image and sentiment from Kim Hughes Pretty Birds stamp set. I hope you enjoyed the tutorial! 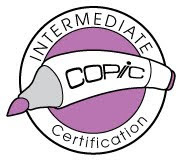 As always, if you replicate this card or are inspired by it, I would appreciate you linking back to my tutorial. If you would like to continue visiting my blog, be sure to "follow" in the side bar, add me to your google reader, or sign up for e-mail notifications of my blog posts in the side bar. Have an awesome day, Tweeties! Jody, This is just too darn awesome! Everytime I see one of your new projects, I think.....she can't top that one! Yet you do it again! Thanks so much for sharing! Amazing is right... What an incredible take on the inspiration! You certainly nailed the challenge! Wow! This is so cool!!! Love this card! you are so cool! I like it! WOW! 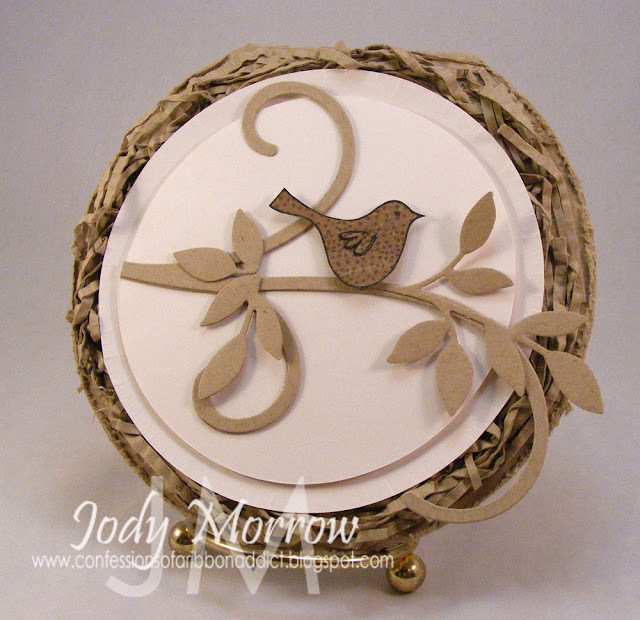 Another amazing card Jody, and a tutorial to go with it, fabulous!!! This is such a great card...super tutorial too. This a wonderful tutorial too! I love your ideas here. I love the nest and the natural colors! this is a wonderful take on this weeks challenge! Oh another fabulous card and tutorial! You are totally rocking these cards, Jody!!! TFS! Wow, I have been looking at the Tuesday Trigger for a while and you nailed it! Great job, I am going to have to go visit your site to see what other amazing projects you have done! you're soooo creative!!! this is wonderful. How cool is this??!!! Jody, you ROCK! !